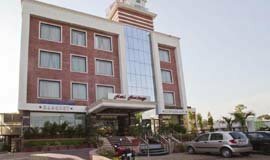 The best hotels in Haridwar best hotels in Haridwar offering excellent advantages as a convenient location for enjoying the hill station attractions, first-class comfort and service. Many hotels offer beautiful lake views , allowing guests to enjoy the glorious sizzling lake views from their room balcony every evening. Others are in close prximity from some of the area�s beautiful and lively oak forest while others are convenient for the city�s renowned Mall Road. 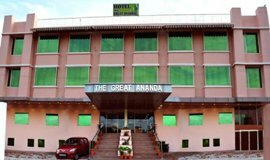 Our list of the Haridwar best hotels includes big brand names as well as heritage boutique gems,with styles varying between smooth modern lines, traditional Uttarakhand design and 18th-century European architecture.The similarity between all of them is there dedication to ensuring that you have a memorable stay in Haridwar, Uttarakhand, India. 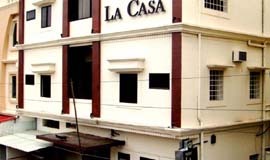 Classic Residency 3 Star hotel at Jwalapur Road is an ideal place to stopover while on a spiritual trip. 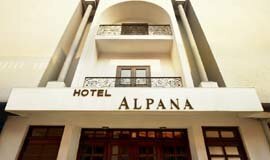 500 meters from Har Ki Pauri and 100 meters from Ram Ghat, Hotel Alpana in Haridwar is a model property. 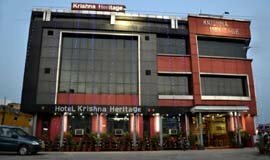 Hotel Hari Heritage is conveniently located on Rishikesh Highway, opposite to world famous Shantikunj. Outstanding! We had a wonderful experience from beginning to end! The price was very reasonable and everyone we toured with was very professional. Our agent did a great job meeting us at the hotel the first day and giving us an overview of our trip- as well as checking on us each day. Our guide did a great job taking us around the city, introducing us to restaurant and helping us shop for souvenirs, in addition to general sightseeing of forts, museums, mosques, and temples- we really enjoyed. We Had a Great Time ! Our family of four recently travelled to Haridwar, Mussoorie, Auli & Nainital with Allseasons Holidays Company. Right from the initial planning stages to our good bye, all was PERFECT. Our driver was a kind, soft spoken gentleman who immediately brought smiles to the kids' faces. He knew all of the perfect spots to stop for a quick bite and clean bathrooms. Our guide made sure we were comfortable in all aspects of our adventure. 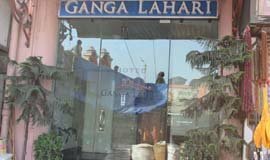 Our trip to Haridwar, organized by this travel company, has been a memorable experience. They have taken care of us at all times, from the moment we arrived in Delhi until we departed, making sure everything was as we expected. Apart from being very professional at all times, and tailoring the trip for our needs and expectations, they have included in the program some very nice gestures and surprises..
From the moment my husband and I arrived, and throughout the entire trip there was a company representative awaiting us, guiding us to every destination with kindness and professionalism. We knew we wanted a custom-built trip and we didn't have a lot of time to work with, so this company was a great fit for our needs. We also didn't want to take a big group tour and be stuck on a bus with a bunch of strangers but be able to stay as long as we wanted at separate destinations and ask whatever questions we wanted. 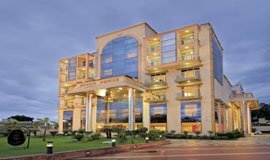 Overall a great experience with Allseasons Holidays. We had a fantastic trip to Haridwar and Mussoorie working with Allseasonsz. 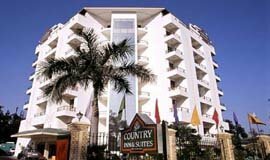 Our travel agent Mr. Vijay and Mr. Nitin were both excellent throughout the whole planning process and the trip itself. We spent a week in both locations with a couple day trips in each place, as well as numerous guided tours of various attractions. Every single tour that we had was enjoyable and well planned. I cannot say enough great things about Allseasons Holidays! I would highly recommend them to my family, friends, and anyone who is thinking of taking a trip to Haridwar & Mussoorie! 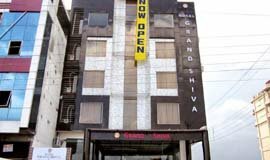 My husband and I just got back from a ten day vacation in Mussoorie & Haridwar and thanks to this travel agency it was the best vacation we have ever taken. Our agent did a fantastic job for our family on our trip to Haridwar and Corbett. He managed to put together an incredible vacation on relatively short notice. He really took the time to understand how we liked to travel and experience new places. He had great suggestions to enhance our experiences and encouraged us to not feel constrained by what was planned. Our favorite part of the trip was when he was escorting us because he was right there to smooth any of the proverbial "bumps in the road" that are bound to occur. 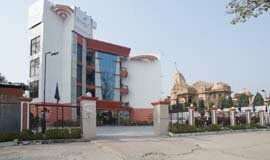 Located in the holy city of Haridwar, Godwin Hotel is the most luxuious hotel of Haridwar & Rishikesh . 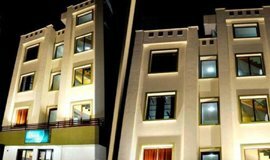 Hotel Forest Avenue offers well-furnished rooms equipped with Internet connection, direct dial phone. Allseasonsz team has been wonderful to deal with.They listened to our needs,answered all questions, provided a detailed itinerary, and dealt effectively with concerns and took care of every single detail for us. It made this trip to Valley Of Flowers truly a trip of a lifetime. 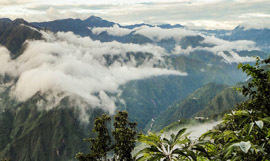 Thanks for Allseasons Holidays Support in organizing our Mussoorie trip. We had a wonderful trip with hassle free entry to all attractions and tours due to tickets done by Allseasonsz I would surely recommend Allseasonsz to all friends and relatives. This is the 3rd time I�ve used Allseasonsz website and telling you the truth their services are always realiable and it only takes few minutes to plan and finalize your entire trip using their extremely fast website and up to date listings. 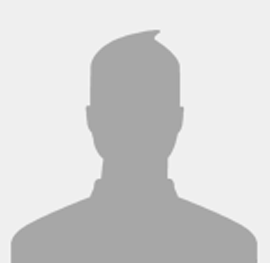 I�m super excited about my next trip. 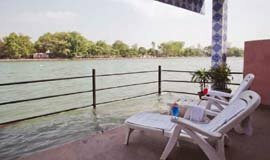 A paradise of placid lakes, lush green flora and fauna, and entertainment, Haridwar stands out because of its popular 7 lakes in India and close proximity to New Delhi. 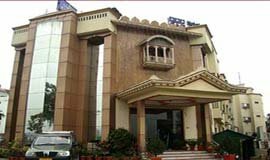 Mall Road, most lively places in Haridwar, is situated runs three kilometres along the city centre parallel to Haridwar Lake.The peaceful and more family friendly areas of Mallital and Ayarpatta is situated North of Naini Lake having temples, churches and forests around them. Haridwar Lake, Flats, Naina Devi Temple,Bhotia Bazar & Mall Road represents the liveliest area of the hill station. Mall Road includes shopping venues, hotels and restaurants, library and Boat house club- one of the oldest and prestigious yachting club in India .Another road known as Thandi Sadak originating adjacent Naini devi temple runs parallel to Mall Road is walkers , cycling paradise adjoining the lake, reaching its end near the Tallital or the Southern portion of lake. 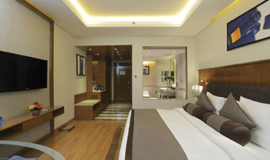 Mallital, Ayarpatta is located north of Naini Lake and offers a more tranquil side of the city. 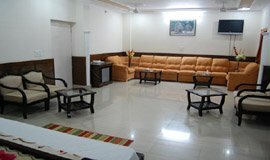 It is composed of hill side Haridwar accommodation, home stays, private apartments, local market, high court and sightseeings. 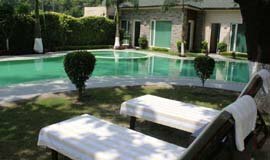 Kilbury or Pangot,at about 12 km from Haridwar lies a place fit for weekend picnics,to enjoy a more relaxed atmosphere, pristine oak, pine and rhododendron forests and with panoramic views of majestic snow-capped peaks . To fully get in touch with Haridwar culture, be sure not to miss the Naini DeviTemple & Pashan Devi Temple, Gorakhal Temple and the Kainchi Ashram. 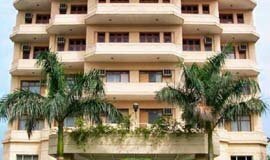 Whether arriving at Pantnagar Airport or Haridwar Airport or Delhi Airport,or Railway stations of Kathgodam, Haridwar don�t forget to check the deals on allseasonsz.com before travelling! 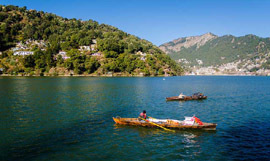 Boating And Yacting -Naini Lake, a natural freshwater lake in Haridwar, provides the tourists opportunities of boating and yachting.It is the most prominent of lakes in Kumaon hills, with the others being Sattal Lake, Bhimtal Lake and Naukuchiyatal Lake. As you go boating and/ or yachting on the lake, the vistas of the three surrounding mountain peaks -Naina Peak, Tiffin Top and Snow View, simply take your breath away. Cable car ride-Cable cars running from Mall Raod till Snow View,now popularly has become a jolly and a thrilling ride for entertainment and to view the scenic beauty from a great height. 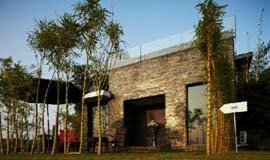 Kids will go crazy on finding the famous Zoo housing the white siberian tiger marks a specific and important place in the Uttarakhand, India tourism map. This is a favorite visiting place for tourist, student and children. Take a paragliding or adventure excursion like River Crossing, rappelling, Rock Climbing at one of the nearby lakes of Sattal, Naukuchiatal.Looking for an outdoor adventure? 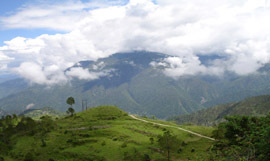 Climb the hill at China Peak, at altitude of 8580 feet above sea level with view of sparkling snow laden Himalayas. The best way to get around Haridwar is on foot, while taxis are available for journeys across the city. Rickshaws on Mall Road offer a low-cost option, and motorbike rentals are also a popular option. If you are driving, be prepared for steep hill roads and unorganized traffic. Haridwar's main attractions, boats and yacht, can be easily taken in Haridwar Lake shores along the three-kilometre long lake. . Haridwar's more tranquil side can be found at one of its highest points, Tiffin Top or Dorothy seat, Naina Peak, Snow View, whose summit includes the hill station highest point and best Himalayan views. Much of Haridwar activities takes place on Mall Road. There are no fewer than 100 restaurant, coffee houses, pastry shops on this thoroughfare alone, and countless more places to sit and party on its surrounding side streets. Haridwar also boasts no shortage of street vendors, restaurants, food carts, and other places to eat. Traditional dishes like Aloo Ke Gutke, Bhang Ki Chutney, Jalebi are some of popular delicacies from Uttarakhand region. There are lots of great places to shop in Haridwar, Uttarakhand even though clothing variety is usually lacking and can be overpriced too. A cheerful murmur will welcome you to this colourful street known as Tibetian. From bargaining calls to a surprising display of interesting goods, immerse yourself in this electrifying shopping hub.In Bara Bazar ( Main Market )Treat yourself to the aromatic fragrance of home-made jams, fruit squashes, juice concentrates and fruit preservatives. The age old shops in Bara Bazaar play host to all your fruity needs.Mall Road Bustling with energy, is thriving stretch is in the middle of the city. Crowded with small shops selling a plethora of goodies, you can find everything here. The shops here specialise in unique candles in various shapes.